WARNING! A CRAZED, PISSED OFF Giraffe is on the loose! Over the past few months, Sanampao Studio had us talking after making a prototype debut at ATT3 back in September 2018. 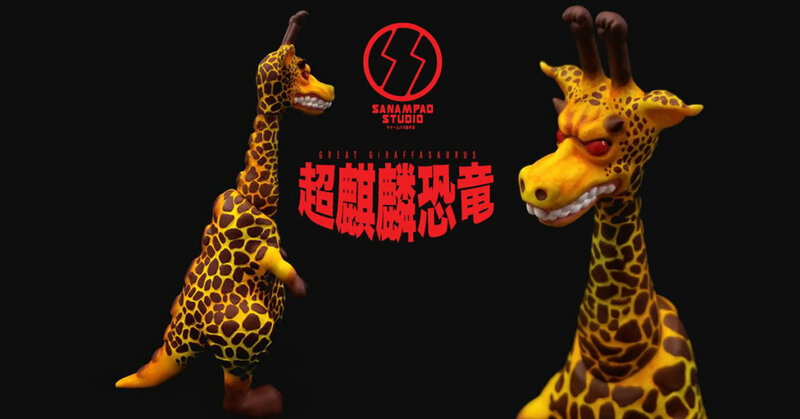 It seems the demand for Sanampao Studio’s GREAT GIRAFFASAURUS has made them offer GREAT GIRAFFASAURUS internationally too! darn right as we think GREAT GIRAFFASAURUS looks freaking awesome, WHO DARES take on this crazy Giraffe?! Next week you will have the opportunity to own one of the Original Colour Version. Find Sanampao Studio via Facebook and Instagram.